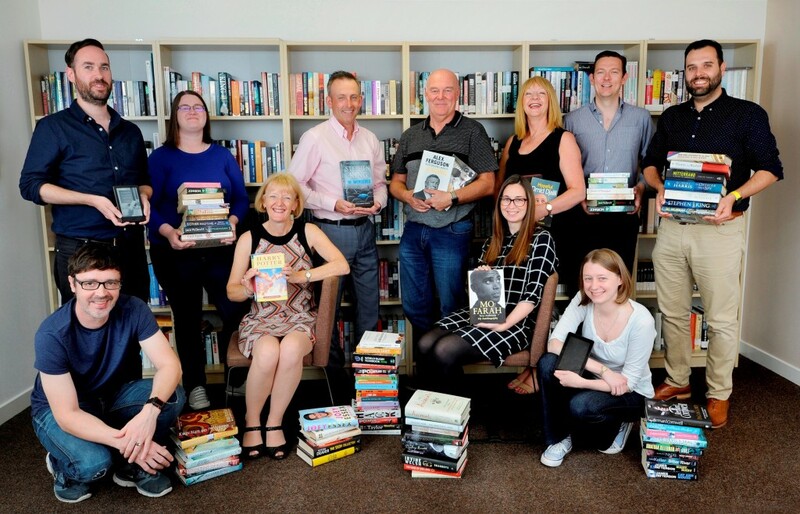 Falkirk-based Palimpsest Book Production Ltd, one of the UK’s market leaders in book production, has joined the growing number of employee-owned businesses in Scotland, with 21 employees given a stake in the business. Established in 1994 by Craig and Ruth Morrison, Palimpsest provides the full range of pre-press services, including typesetting, proofreading, digital publishing, design and reprographics, to the UK publishing market. From modest beginnings based in the Morrisons’ home, the company quickly grew, adding several staff and moving to new premises within 12 months. Craig and Ruth have now sold a controlling interest in the business to an Employee Ownership Trust which will hold the shares on behalf of the employees and allow them to participate in the future success of the business. We spoke to Craig to find out more about the decision to become employee-owned. Craig said: “Looking to the future, we realised that at some point we would need to create a succession plan for the business. We wanted to ensure that when we did eventually retire, we could guarantee that Palimpsest would continue to operate successfully. Doing some research into our options, I attended a seminar on succession planning organised by Co-operative Development Scotland. “We were immediately attracted to the idea of transitioning to employee ownership because it would enable us to realise part of our investment while continuing to work in the business until we are ready to retire. “Employee ownership will also ensure that Palimpsest continues to thrive, offering employment and careers in Scotland into the future. With a client base ranging from leading international publishing companies to self-publishing authors and an ‘end to end’ range of pre-press services, the new Employee Ownership Trust has a strong foundation. This entry was posted in BLOG on October 8, 2018 by CDS Admin.